Books for RAS Exam New Pattern Preparation: Rajasthan Public Service Commission (RPSC), Ajmer will conduct RAS / RTS Examination 2013 based on New Pattern of Examination which includes Rajasthan GK, India GK, World GK and General Aptitude as part of New exam pattern in Line with CSAT Examination by UPSC. RAS New Pattern will have Common Single Paper on New Pattern with 200 Marks. while RAS Mains 2013 will have Four Papers. 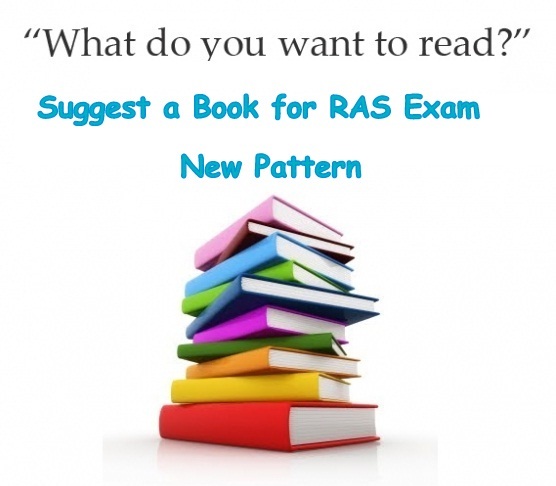 So Now lets have original questions Best Books for RAS Exam New Pattern Preparation, Which book to Refer is one of questions asked by Many readers, We are trying to Answer this tricky questions as each student have different way to learn and look. 1. RS Aggarwal for Quantitative aptitude. 4. Rajasthani History by Kalu Ram Sharma. 1. NCERT Book - Class VI to X. The Hindu / Rajasthan Patrika News Paper. 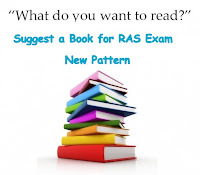 Dear Readers, Please Note this is our personal view, If you have come across better Books please Share as COMMENTS, so that a Complete List of Best books for RAS Examination can be completed. i am in 3rd year b.tech cse can i appear in R.A.S. is der ny aggregate % eligibility criteria in appearing RAS exam? pls reply! RAS 2013 main exam only objective based hoga kya plss reply mee..
all 4 papers will b of descriptive type. The truth is, it's difficult to have car credit because a vehicle unlike a property depreciates http://ppir.at/6f this outside company will compile a title report that will highlight information on the property, for example pre-existing recorded secured interests.